Congressional Gold Medal presentation to Filipino World War II Veterans is planned in October or November 2017. National Registry of Eligible Filipino Veterans has been created to ensure veterans get recognition. 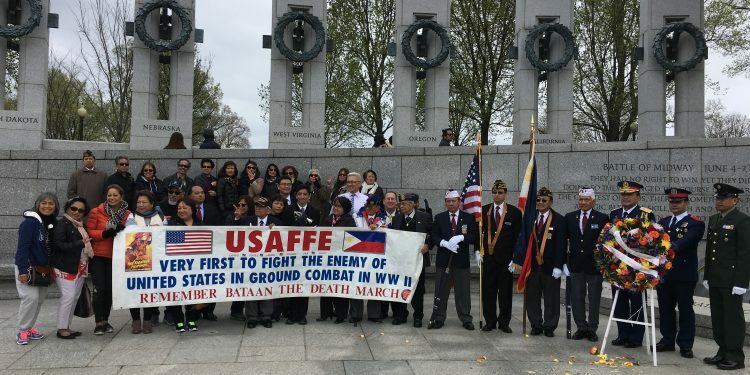 Following the passage in US Congress of the Filipino Veterans of WWII Congressional Gold Medal Act of 2015, plans are underway for a national celebration in October or early November to honor Filipino World War II veterans. The Congressional Gold Medal award is a recognition of U.S. Congress on behalf of the nation for the distinguished contributions of Filipino soldiers and guerrillas during World War II in the Philippines. 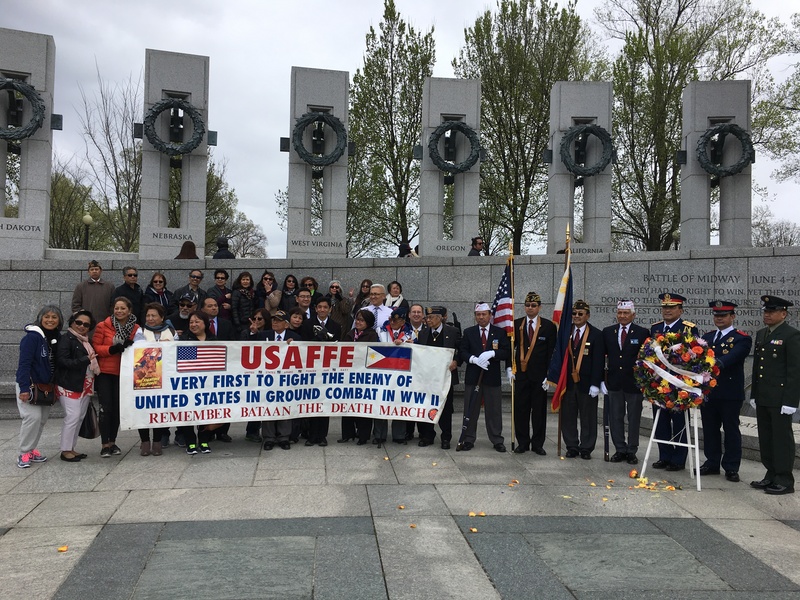 The national celebration will coincide with the formal award presentation of the medal to Filipino World War II veterans by House Speaker Paul Ryan. At the award ceremony, slated to be held on Capitol Hill, surviving Filipino and American veterans or their next-of-kin will receive bronze replicas of the CGM and a framed copy of Public Law 114-265. Expected to attend are Congressional sponsors, Philippine Government officials, Presidential Cabinet members, high ranking general officers from the US Army, US Marine Corps, US Navy, US Air Force, US Coast Guard, veterans advocates, community leaders and supporters and other dignitaries. The Filipino Veterans Recognition and Education Project (FilVetREP) is working closely with the U.S. Mint and offices of Sen. Mazie Hirono (D-HI) and Rep. Tulsi Gabbard (D-HI) to accelerate completion of the CGM’s minting and production of at least 500 bronze replicas. FilVetREP is led by Maj. Gen. Antonio Taguba (U.S.A. Ret.) and his executive team composed of Marie Blanco, Erick Soriano, Jon Melegrito and Ben de Guzman. Bronze replicas will be awarded only to surviving veterans or their next-of-kin whose eligibility for CGM has been vetted and whose names are included in the national veterans registry by FilvetREP in coordination with the Philippine Veterans Affairs Administration. “It is essential that veterans and their families register as soon as possible to make sure they are included in the award ceremony,” Taguba adds. Applications and instructions for submission may be downloaded from FilVetREP’s website www.filvetrep.org. For assistance or more information, please contact the FILVETREP regional director for your area as listed on the application form. Bronze replicas are funded with donations from the public. Donations to support FilVetREP’s CGM activities are accepted through the FilVetREP website.